With more people than ever before now taking advantage of paid advertising via search and social media, it comes as no surprise that competition is a key factor in how ads are constructed and displayed to search engine users, social media lovers and readers alike. Over the past few years, an increased amount of advertising on these platforms has been developed to keep up with demand, but many still find it difficult to gain traction in some markets. Paid advertising is all about the return on investment; visibility in and of itself does not equate to a profitable endeavour. In the following article, we’ll outline some strategies that you can use to get the most out of your paid ad campaigns and unite these strategies across multiple platforms. Most paid advertising campaigns have to be tweaked every few days in order to maintain relevance, especially on social media. Even if you are proactive in this regard and pinging search engines with new variations of your ads, it is an excellent idea to throw out everything at least once every few months and revise your strategy. As search markets changes and consumer habits are altered, what worked yesterday may not be effective today. You owe it to your brand and your future success to spend the necessary time crafting a new strategy periodically, which will help ensure that your message reaches both new audiences and existing audiences (in new ways). If you want to amplify a message to a particular community, then you need to reach these individuals through as many mediums as possible. Because of this, successful brands use similar ad strategies on search engines like Google and Bing, as well as social media networks such as Twitter, Facebook and Instagram. This not only increases the likelihood of the same person having multiple impressions made upon them, but ensures that they are targeted in different formats – each of which may produce different levels of engagement. If you have a valid ad campaign strategy in effect and are pinging search engines with these ads, then you should test out how well your strategies are working. A quick search in the niches you have targeted periodically should give you an idea of how often your content is being displayed to users, and browsing social media at random can do the same in that medium. After performing these searches, you may come to the conclusion that you need more exposure in one medium and less in another; it is these kinds of tweaks that can help you maximize paid ad campaign effectiveness. 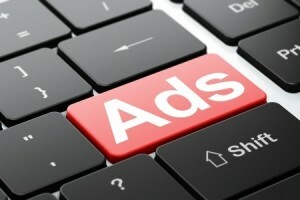 To maximize paid ad campaign effectiveness, you need to remember a few things. First of all, people get tired of seeing the same ads, so be sure to shake things up from time to time. You also want to have consistent planning across all ad platforms in order to ensure the same messaging is reaching people as many times as possible. You also will want to revise the entire strategy on occasion to keep up with changing conditions.